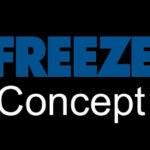 Nitrofreeze was asked to remove the rubber flash from a 1.50″ OD silicone O-rings used in the oil and gas industry. Lot sizes were three to five thousand parts per release. Often, injected-molded gaskets have a thin, film-like layer extending from the parting line projection, a continuous ridge of material caused by mold wear. Over time, this wear can create an enlarged radius from the mold cavity to the flat plane of the tool. Silicone flashing is typical, but part defects that can affect sealing performance must be removed. To meet this application’s requirements, Nitrofreeze needed to achieve a flash tolerance of 0.005”. SAE International, the Rubber Manufacturers Association (RMA), the International Standards Organization (ISO), and the U.S. military all maintain tight tolerances for O-ring inspection and surface finish. Nitrofreeze used cryogenic deflashing to remove the mold flash and achieve the required flash tolerance. First, the silicone O-rings were cooled to cryogenic temperature so that the flash became brittle and easy-to-break. The gaskets were then tumbled and blasted with polycarbonate media. This separated the flash from the O-rings without affecting gasket geometry or surface finish. Cryogenic deflashing is a computer-controlled process that provides repeatable, reliable results. It’s more economical than manual deflashing and can extend the life of worn molds that would be expensive to replace. With cryogenic deflashing, no job is too large or too small for rubber or plastic parts that have been injection molded, extrusion molded, or compression molded. As the image that accompanies this case study shows, Nitrofreeze used cryogenic deflashing to remove the unwanted material from the O-ring’s inner and outer diameters. Quality assurance also revealed that cryogenic deflashing achieved the required flash tolerance of 0.005”. This Nitrofreeze process is ideal for silicone rubber, a very viscous elastomer that’s prone to flashing during molding. This entry was posted in cryogenic deflashing, Deflashing and tagged cryogenic deflashing, Deflashing, O-Ring Deflashing, silicone deflashing on February 2, 2018 by Jordan Anderson.